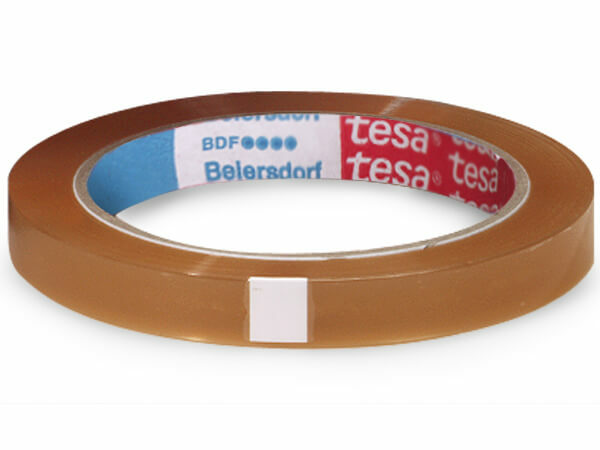 Clear Tesa brand tape by the single roll. 1/2"x72 yds with a 3" center core. Single roll of tape for use with our TD80 tabletop dispenser. Top quality 3M tape is individually boxed and dispenses with a better flow. Available in transparent, Magic, shipping tape and double stick. TESA tape is bulk packed, not boxed. Available in 2 sizes and all tapes are transparent.